HID Global has expanded its ICLASS SE platform with two additions: the standards-based iCLASS Seos credential and support for the industry-standard Open Supervised Device Protocol (OSDP). 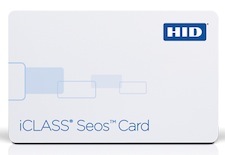 iCLASS Seos features a standards-based card edge and is portable for use on NFC smart phones so that customers can utilize smart cards, mobile devices or both within their physical access control system. Additionally, iCLASS Seos delivers privacy support for enterprise and government organizations whose identity management policies are driven by regulatory compliance requirements. HID Global’s iCLASS SE platform also includes support for the Open Supervised Device Protocol (OSDP), which together with secure channel protocol provides bi-directional communications and security features to interconnected devices. Support for OSDP adds key capabilities to the company’s products including central management of readers for lower operational costs and faster and easier configuration. The iCLASS SE platform also supports Seos digital keys from HID Global parent company ASSA ABLOY, which has launched the Seos ecosystem for issuing, delivering and revoking digital keys on mobile phones with NFC technology. Seos keys on mobile phones replace mechanical keys and access cards for opening doors to homes, hotels, offices, hospitals, universities, industries and commercial buildings.